Don’t you just hate it when you read headlines like the one above? If it were really that easy then you wouldn’t need to spend time finding out how to manage your finances, would you? Truthfully though, there are no dark secrets in how to manage your money wisely. It’s just a question of knowing what to do and creating a plan for your finances that works for you. How I manage my finances will be different to how you manage yours. The key to being successful though is knowing what you can do and choosing the right actions to get you where you want to be. It has taken me years to manage my finances properly and I still make mistakes sometimes – I think we probably all do. Mistakes like ignoring my budget or not taking care of my possessions well enough. For instance our lounge carpet needs replacing, but not because it is old and threadbare. Nope, it needs replacing because we get lazy and forget to use our fire guard when we have a coal fire blazing away. And coal has a habit of spitting embers. So we have ember burns on the carpet – more than one because we didn’t learn our lesson – doh! That carpet cost £400 – how wasteful is that? Lessons like our carpet act as timely reminders of looking at how we can maximise our money and ensure we manage it wisely. All good financial management starts with a plan. And all good plans start with a goal. What do you want to achieve financially? What will successfully managing your finances look like to you? Writing down your money goals is the first step on the path to mastering your money. Maybe you want to save enough money to take a year of travelling, or a house deposit. Or maybe you want to be able to be living below your means in comfort rather than running out of money every month. Thinking about where you want to be and what you want to have achieved financially will really help you succeed in the future. You will have goals to aim for which provide you with the focus for success. We had a goal to save enough money to retire early and move to the country. Without that goal we wouldn’t have had the focus to cut our costs and save money like we did. Knowing that we have almost achieved our goal is a great feeling, believe me! What will it feel like for you when you achieve your money goals? Yes, I know budget is almost a dirty word for many people. I can understand why if you think creating a budget means you can’t spend your own money. I’ll be honest I’m not a lover of budgets but I certainly have one. Remember, budgets don’t limit your spending, they enable your spending. They tell you how much you can spend and they will help you focus on achieving your goals. It is very hard to learn how to manage your finances better and achieve your goals when you don’t have a plan (budget) to help you do so. It is even more important to learn how to budget and save money if you are on a low income as every penny makes a difference. With a budget that accurately tracks your monthly expenses you can tweak and improve it to help you achieve your goals. 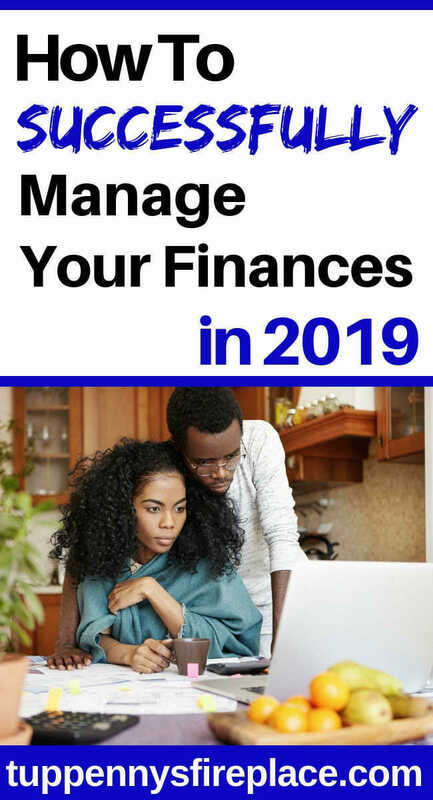 When you are looking to learn how to manage your finances wisely, you should know that taking out loans, extra debt or a line of credit do not fall into the wise category. Taking out finance means you are spending more than you earn. Not a great start to your goal of managing your finances like an expert. Most forms of finance will incur interest which means you are paying the loan company for the privilege of borrowing their money. Loans and interest on them are how so many people get into debt. You’ve already come so far in thinking about your financial goals and creating a budget so not taking out finances is a logical step. Protecting yourself, your loved ones and your valuables provides you with peace of mind should something unfortunate happen. I can’t tell you how sad and frustrated I get when I hear about people who have lost everything in a house fire or flood and they weren’t insured! It’s traumatic enough to be involved in such an incident let alone having it impact so badly on your finances, through no fault of your own. The very thought of not being insured gives me the jitters. You don’t have to have expensive, all inclusive insurance. Just enough to get you back on your feet should the worse happen. 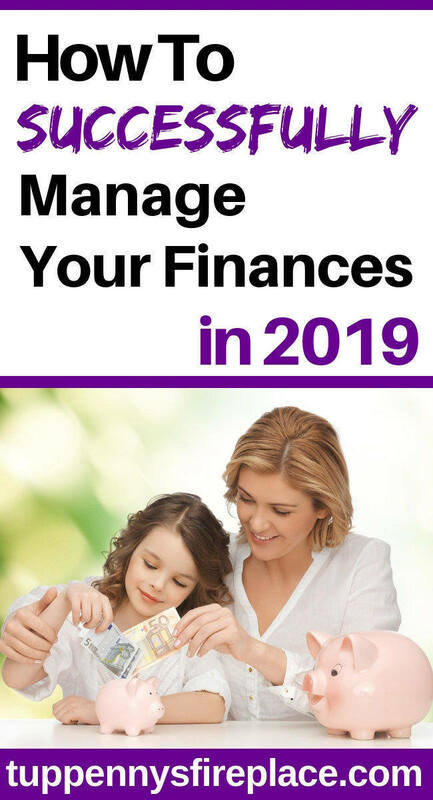 It almost goes without saying that one of my top tips to help you understand how to manage money wisely is to prioritise and learn how to pay off your debt as fast as possible. Debt costs you money. It stops you achieving your goals. It can keep you awake at night and affect your relationships. You don’t want debt hanging over you when you have such fabulous plans for your future. You want to become debt free by all means possible. 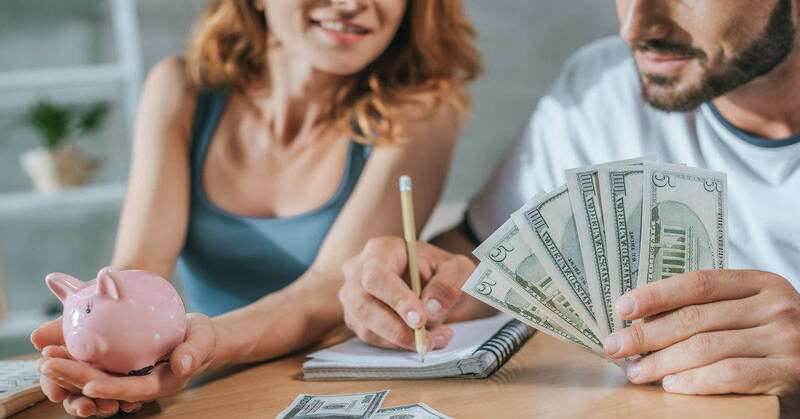 If you have savings earning very little interest and debt you want to clear, you might want to consider using some of your savings to clear or reduce your debt. I say some because it is important to have money set aside for emergencies – a rainy day fund as such. If you have debt then I would suggest keeping your emergency fund at a lowish level – £1000 or another figure that you feel comfortable with. Your financial life can be made much simpler if you focus on ensuring you manage your finances online whenever possible. 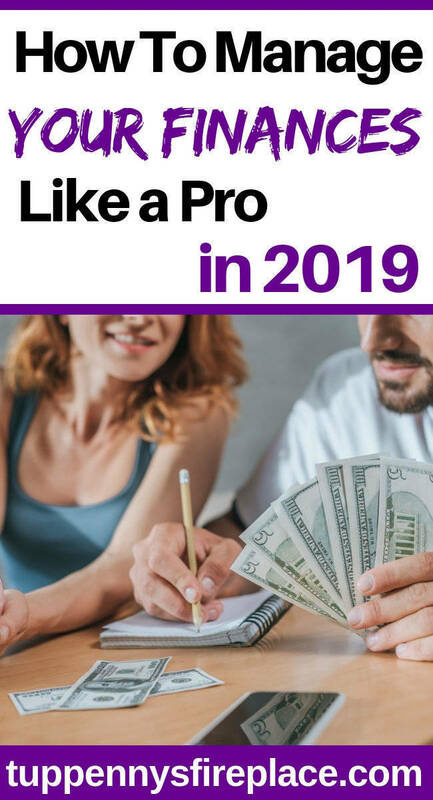 I always manage my finances online to the extent that if I am looking for a new financial product, say a new savings account, I will only consider accounts that I can open, operate and close exclusively online. You don’t have time to be trekking to town to open an account or pay money in. When you manage your finances online it means you can do your financial activities in the evening after you get home from work. You can compare car insurance, house insurance and search for new banking products at 10pm no problem. Thereby freeing up weekends and your days off. Another benefit of online finances is you can set up automation’s so your savings are whipped out of your bank account as soon as you get paid. If you haven’t already, make sure you do this as it is the best way to ensure your money saving plans succeed. Paying yourself first is key to achieving your financial goals. Remember, your future self will thank you for taking this action. When you’ve got plans for your money it’s good to have that money squirreled away in it’s own savings account earning a little bit more interest. Keeping your savings separate from your daily spending is crucial to achieving any savings goals you have set yourself. I would encourage you to have separate savings accounts for different financial goals. That way you can clearly see your progress towards your goal. Doing your grocery shopping online will free up valuable daytime hours and help you manage finances online at a time that is convenient to you. Even better you are likely to save money on your groceries as you won’t get tempted by the latest deals every store you visit has each week. The first time you do online grocery shopping it can be a little time consuming but thereafter your chosen store will remember your choices and you can reuse your previous weeks list as a starting point. You can even upload previous store receipts as a way to get started thereby speeding up the initial process. If you are in need of something new, check whether you could buy it used, aka secondhand. Many people buy used cars, so why not a used bike or television or tablet or clothes? As soon as you have had a new item for 5 minutes it’s no longer new. Buying things used rather than brand new can save you 50% or more. DD1 runs her own photography business which naturally involves having a fair amount of expensive camera equipment. But she never buys her lens or cameras brand new, she buys them online and used from a website that specialises in these items. Getting a £1000 lens which is gently used for £600 is most definitely worth it. Especially as she likes to upgrade every year or two anyway. Just like learning how to manage your money wisely, learning how to take care of your possessions will pay you back twofold. Your things will last longer and look better. Because they will last longer you won’t need to replace them so often thereby saving money! Sharpening your own knives will increase their lifetime and use. Regular oil changes for your car will keep it running smoother and for longer. Sometimes it’s good to take a step back and look at what you spend your money on. The best way to do this is to have a spending freeze month where you literally buy nothing other than your basic necessities. So no coffee to go, no work lunches, no clothes, no entertainment costs. When you are focused on managing your finances you’ll soon see the difference a spending freeze makes. You may be totally happy with how you spend your money. But then again you may identify that actually, you’d rather save the money than spend it having seen how much you can save during your spending freeze. Absolutely your choice, but try a spending freeze and see what you think at the end of it. Patience in buying new (to you) things is a great skills to practice. It is also called delayed gratification. You want to buy something but you deliberately impose a timeline before you allow yourself to buy it. Your timeline could be 48 hours, a week or even a month. Probably not much use in delaying the buying of something small like a replacement hand blender. But bigger items, maybe those costing £100 or more, could be waited for, just a little. It also gives you a chance to hunt for a secondhand option thereby saving money. The reason to employ the art of delayed gratification is to make you think about whether you really want that item. Or did you just see it when out shopping/browsing online and suddenly decided you need it? These days cash spending can play a very small part in managing your finances. I can go weeks without drawing any cash because I use so little. 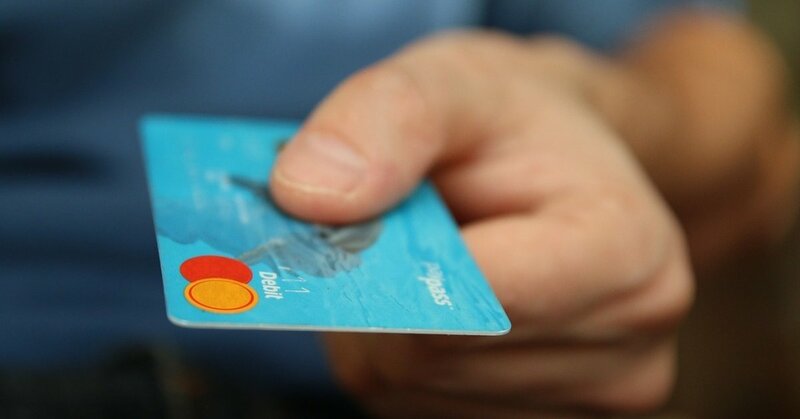 With contactless payments it is all too easy to tap or swipe without even thinking how much you are spending. Which can be a problem because we can end up mindlessly spending, not knowing how much we really are shelling out. Every 6 months or so I have a month or 2 week period where I spend only cash. 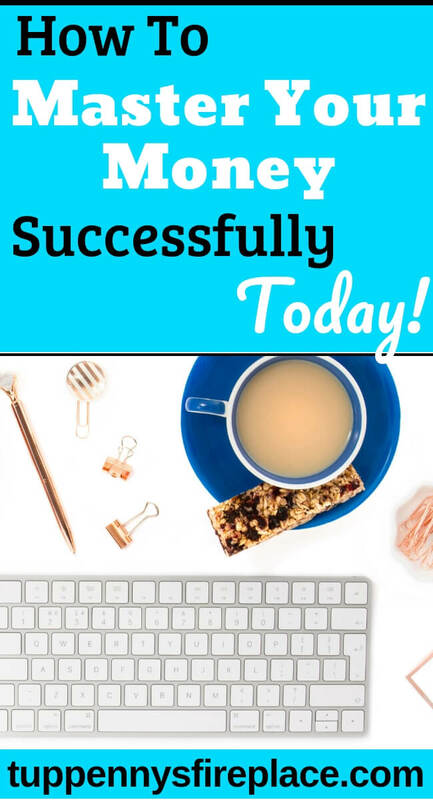 Using the cash envelope system helps me to reconnect with my money and ensure I am spending only where I truly want and need to. Go back to basics with a cash only month and you really feel what you are spending. There is something very different about using cash which you have to physically hand over than just tapping your card onto a machine. Credit cards are great for earning rewards and cashback but will cost you dear if you don’t pay them off in full every month. If you don’t trust yourself to pay them off in full, don’t use them at all. They usually have punishing rates of interest so pay in full or don’t use. You can arrange with your credit card company to automatically pay in full by direct debit thereby automating the process. I highly recommend you do this. Hobbies come in all shapes and sizes and vary in cost to completely free to costing a bomb. If you have a cheap, fun hobby or two then you are doing something you enjoy without paying loads for it. That’s a perfect combination in my books. Even better, why not have a hobby that makes money? If you are doing something you enjoy, why not see if you can get paid for it? Why not look to sell your excess stuff and put the money you earn straight into your savings account? You can go through your rooms and identify items you no longer use and list them for sale. Facebook groups are a great place to sell stuff quickly and for free. Ebay, Gumtree and Craigslist are also good selling platforms. Whether you are shopping locally or on the internet the advertised price is not always the final price you need to pay. Many companies will price match others within reason as they want your business. But they won’t tell you that! Do your research and armed with information you can approach your preferred retailer or shop and ask for a discount. Some shops will offer, when asked, a discount for cash. Not because they are going to under report their sales but because by paying cash they aren’t having to pay a retailers credit card fee. These fees can be up to 5% so the retailer gains a little something if you pay cash. Have you ever opened your cupboards and really considered how much is already in them? Are you like me and having to juggle things in order to get your latest shopping actually in the cupboard? Whether that’s another bottle of shampoo or another tin of beans? Why not have a use up month where you challenge yourself to using up everything in your cupboards before you shop for more. I know you won’t literally be able to use up everything but you can make a great dent in your stores if you get creative with meal planning. Alternatively it might be your bathroom cupboard that is bursting at the seams. Use what you’ve got and forgo anything new until you have finished them. Take back your cupboard space and reap the financial savings. 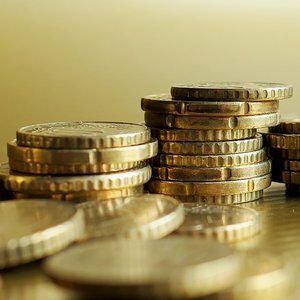 Knowledge is power – if you know how much you spend, and on what, then you can decide whether to keep spending it that way or to change what you spend your earnings on. To know what you spend your money on you need to track it, to record how much you spend, when and on what. Once you know what and where you are spending you can start tweaking it and identify where further savings can be made. Tracking what you spend every day, month, year will give you a detailed picture of your spending patterns. It’s easy to forget one off payments when you look back over your finances but having a record of what you spend ensures you don’t forget. I managed to forget for at least 2 years that our two cats were due their annual vaccinations in January. Straight after Christmas is not a good time to forgot a big bill like that. And 2 years running? I obviously wasn’t managing my finances very well was I? There should be nowhere to hide if you consistently record all your spending. Using a spreadsheet to manage your finances, excel or perhaps an app will help you track your spending and keep you in control of your money. The importance of money management and making good financial choices cannot be stressed enough. Knowledge is power. Educating yourself financially will help you make informed choices which will help you manage your money. In turn, managing your money wisely will help you achieve your financial goals. I especially like the forums on Money Saving Expert. I think I’ve learned more little finance snippets from fellow forumites there than anywhere else. And in this blog post 11 personal finance experts/bloggers reveal the secret to their success. 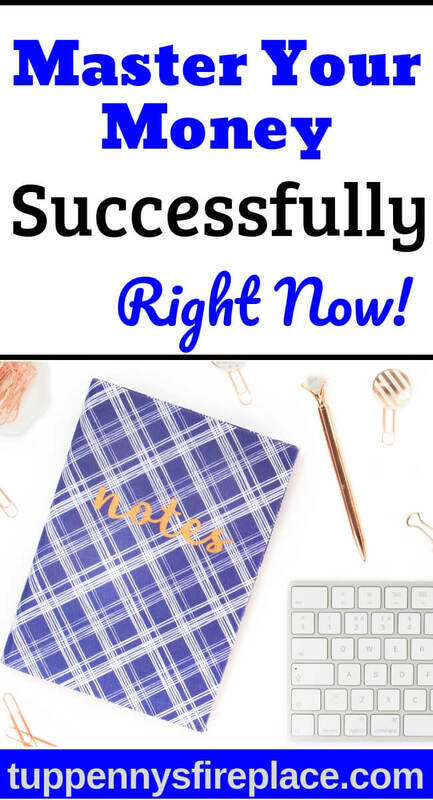 How To Manage Your Finances – You Got This! 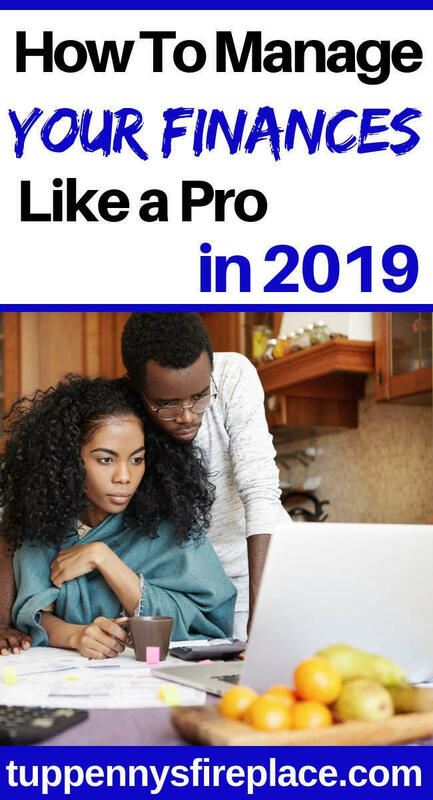 Follow these tips and 2019 can be your year. 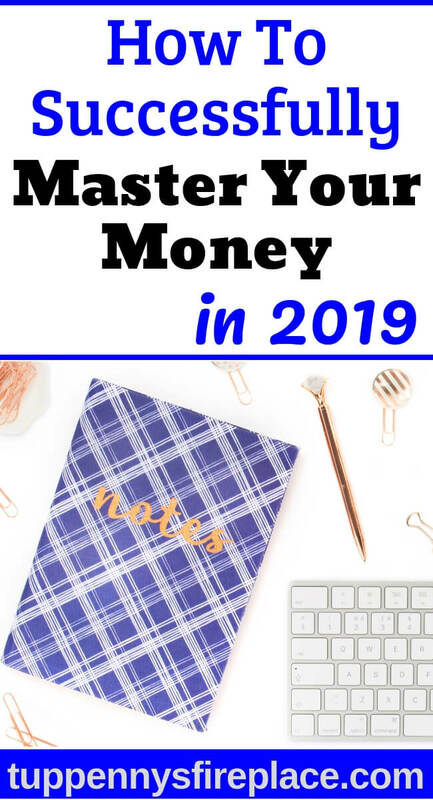 Your year to really learn and finesse how to manage your finances both now and in the future. Understanding how to manage your finances better now than before will pay you back in dividends. You’ll have goals to aim for, savings building up and a feeling of being so much more in control of your finances. I’m a big fan of tracking your spending. I take the further step of charting it. This has stopped quite a few small, ‘mindless’ purchases, simply because I didn’t want to put them on the chart. I like the idea of charting it as often I am recording those mindless purchases instead of stopping before buying. Although my technical skills might be stretch creating charts! Thanks for the idea Frogdancer, might just give it a whirl.